ARK 2.0L Down Flow Pipe is logical addition to ark headers and exhaust unleashing even more power. ARK 3.0" O2 Housing / Turbo Elbow is direct bolt-up part replacing OEM primary catalytic converters. 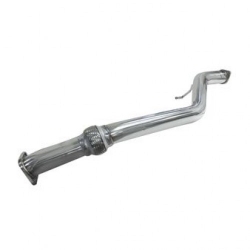 ARK 3.8L Down Flow Pipes help improve exhaust flow and in doing so increase horsepower and torque. 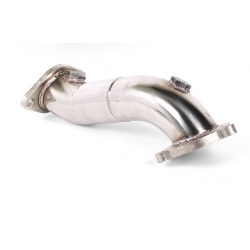 Ark 3.8L Downpipe + H-Pipe are designed to get the most out of high revving race motors. ARK 3.8L R-Spec Headers are one of the best aftermarket headers for genesis coupe 3.8L money can buy. 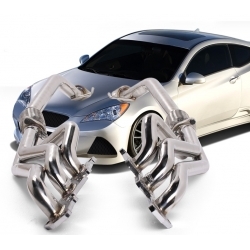 ARK Ceramic Headers 3.8L are the only ceramic coated headers available for genesis today. Get yours today! The ARK test pipes are designed to get the most performance out of the motor. We use 2.5" Piping SUS-304 Steel. 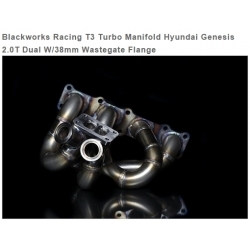 Maintec 3.8L Headers&Down Pipes are race proven and tested products which can easily be compared with Jun BL and 7ism. Maintec O2 Housing 2.0L is designed to connects to the OEM or aftermarket down pipe.